Upgraded for 2017 with phpBB3, HTTPS, and rehosted on 34sp.com! Cyrusunofficial, or simply CU for short, is one of the oldest hifi audio forums on the internet, first established in 2001. The site began as an information page for Cyrus Audio products at a time when there was no official web presence from the company itself. 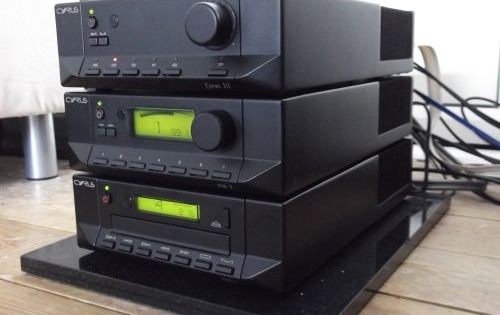 Today CU remains the "go to" hifi audio forum for Cyrus Audio products, however few of the long term members now own Cyrus components themselves. This blend of experience brings a non partisan attitude towards particular manufacturers when it comes to hifi ownership. This forum concentrates on how rewarding good hifi can be when it brings excellent music reproduction into the home. Cyrusunofficial is a "fan" site, and is not associated with Cyrus Audio Ltd or any hifi dealer or manufacturer. The link above will take you to the CU forum archive which holds data from 2005. There is a short history of the site, and a link to see how CU looked back in 2002. Click on this icon to donate to the running of this site, or to send member subscriptions. Transactions are handled via Paypal. Cyrus have announced that every unit built from now on will have black casework.